Justin Gingrich of GTI is known for crafting heavy-duty survival knives, and this custom fixed blade is no exception. 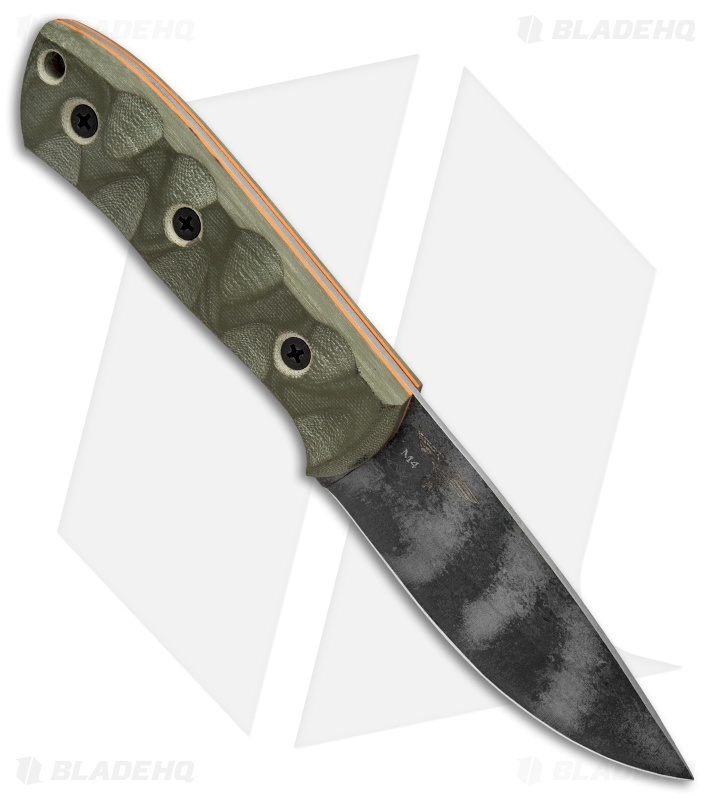 It's armed with a sturdy, full-tang CPM-M4 drop point blade with a black/gray tiger stripe coating. 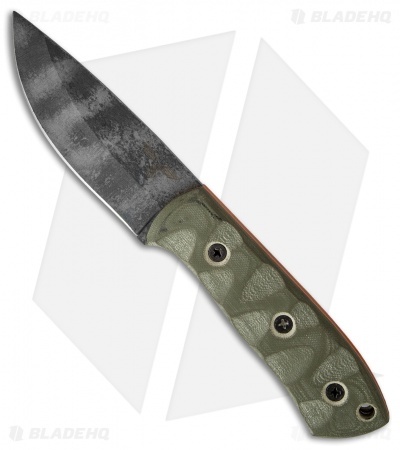 The handle features milled green Micarta scales with orange liners and crosshead screw hardware. 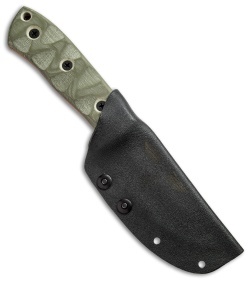 This knife offers exceptional comfort in hand, and makes a valuable companion in the field.